Come up with a good name to ensure your friends will remember you. Anyone remember Brian? Pete? Joe? No. But they sure do remember Thorfinn Skull-splitter. And Sigurd Snake-in-the-Eye. Eysteinn the Fart didn’t go unnoticed either, for his antics after a night on the mead. Oh, yeah, and we all remember Thord the Coward. And Ulf the Unwashed. And Hallfred the Troublesome Poet. If you’re a Viking man, grow a beard. Good beards were signs of manhood. No beard = not a real man. Think hipster, amplified. Add an axe and a shield. Note that Viking men were very well groomed, not wildly haired beasts. Indeed, combs and tweezers were found in Viking graves. So, a well groomed beard is essential. Dye your hair blonde. 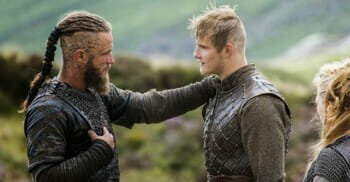 Both Viking men and women enjoyed dying their hair blonde, using lye (probably best not to use lye – ask your hairdresser for current alternatives). The dye kept the lice at bay – and it made them all pretty. Because they’re worth it. Hairstyle: Short fringe and long at the back. A mullet, really. Grow a mullet. And a beard. Wear more eyeliner. Vikings used to wear eyeliner, a type of kohl around the eyes. Drink more mead (Mjöd). It’s an underrated drink that really deserves a come back. We see it as a good alternative to your local pint of Stella – and soon, London hipster pubs will start serving it, we’re sure. Drink mead out of a horn. Also a good fancy thing that could make a welcome alternative to pint measures. Treasure your Bluetooth. Did you know that the Bluetooth logo is rune script? And the name comes from Harold Bluetooth – the last king of a united Scandinavia. Go skiing more. The Viking loved skiing so much they even had a God of Skiing – his name was Ullr. Navigate by using ravens. 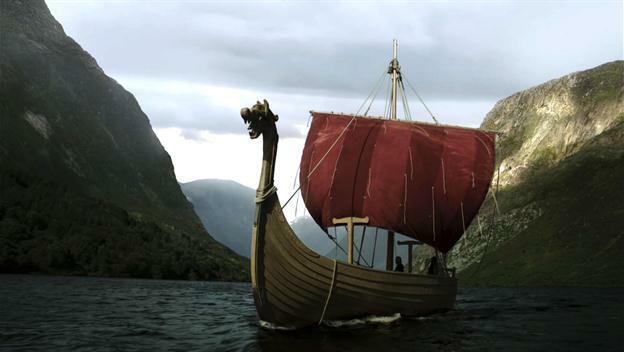 The Vikings used ravens to navigate the long ships. They gave up quickly on seagulls as these only led to chip shops. During the next London tube strike, pick up a few ravens and let them help you find your office. Only write in runes. Ideally carved into stone. Do not use this technique if asked to take notes at a meeting; you’ll be there forever and nobody appreciates it nowadays. Girl power: Viking women could demand a divorce from their partners. Reason for divorce could be plenty – from bed-hopping to poverty or even the showing of too much chest hair. Threaten your husband with divorce if he opens the third shirt button next time he’s dancing The Lambada at a family wedding. The power of Mjölnir. It is not unusual to see Scandinavians today wear Thor’s Hammer around their neck. It’s a look. You can do it. Play the pan pipes. Well, because the Vikings kinda did. Or just learn the lur. Or the recorder. Yes, we know… Not very manly instruments, but what do you expect? A Viking age set of drums and a v-guitar? Do what can’t be done. The Vikings didn’t fear the unknown, nor did they fear battle or even death. They travelled. They discovered. Imagine what the world today would look like if we hadn’t travelled? Feel free to add more ways to be Viking in the comments field and we’ll add them.